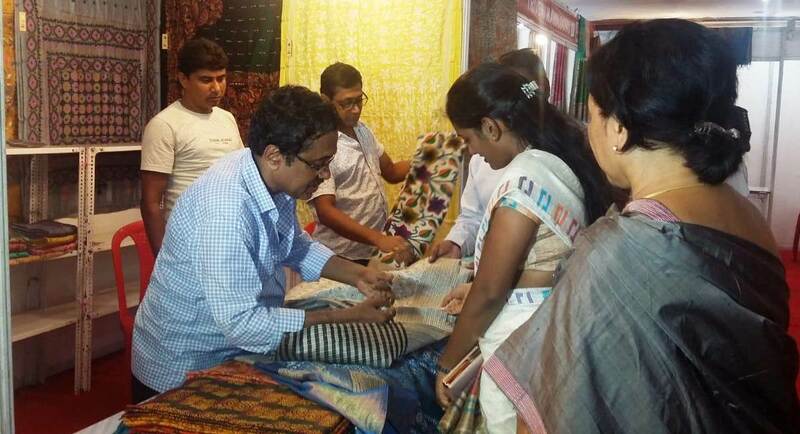 A week-long Silk Mark Expo, organised by the Silk Mark Organization of India (SMOI) and sponsored by Central Silk Board, Ministry of Textiles, was inaugurated on Sunday by Dibrugarh DC Laya Madduri at Jyoti Bibah Bhawan here. The expo has been organised with a view to spreading awareness about silks of India striving relentlessly to achieve the vision to protect the genuine interest of the silk consumers. In order to ensure that silk mark gains further credibility and popularity, silk mark expos are being organized exclusively involving the silk mark members and authorized users of the Silk Mark labels including weavers, manufacturers, NGOs, silk dealers, exporters and government supported agencies from all over the country exhibiting wide range of pure silk products. Expressing her satisfaction Madduri in her address expressed her hope for successful business of silk products of genuine quality and consumers can purchase quality products in affordable prices. Mamata B Sharma, officials from SMOI said — such event is an ideal platform not only to popularize Silk Mark Labels and provide valuable linkages to all the stake holders in the silk industry, but also to encourage the local entrepreneurs in Silk to start business in Silk. She also said that – the aims of such event is to act as the front line tool for the generic promotion of silk and to become the common thread that connects all stake holders together and take care of the interest of all sections of silk value chain. There are more than 3818 Authorised Users (AUs) of Silk Mark and over 3 lakh Silk Mark labelled products in the market. These labels are not only a mark of purity but also inspire confidence in the buyers to purchase only the silk mark labelled products while buying silk. These in turn increase the demand for pure silks benefitting the sericulture farmers and other stake holders involved in silk.